Learn to cook delicious foods from around the world. Improve your knife skills and food preparation techniques. Each week you will watch a demonstration and prepare a dish to take home. There will be an additional weekly charge of up to 75p to cover demonstration/tasting costs. 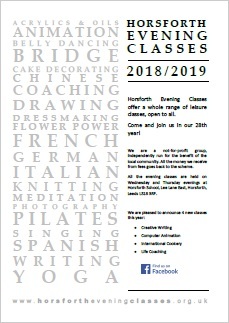 This class begins on Wednesday 19 September 2018 and run for 11 weeks in both the Autumn and Spring terms.